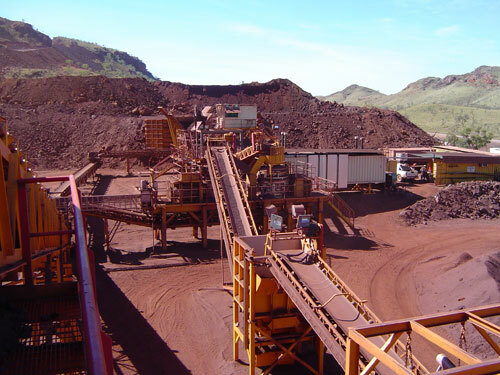 Fixed crushing circuits are best suited to campaigns in excess of one year duration and in excess of 1,000,000 tonnes per annum. 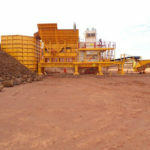 The 1-3 mtpa circuits comprise the Metso C125 or Svedala 1208 primary jaws with either Cedarapid MVP 450 and 550 or Metso HP300 and HP 500 cones and Eljay screens. 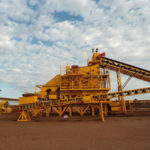 Larger 3-5mtpa circuits comprise Metso C160 63” X 48” or Jaques 60” X 48” primary jaws with MVP550 cones and either two 20’ X 8’ screens or one large Schenk banana screen. 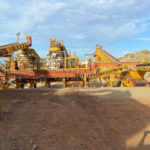 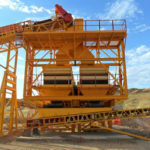 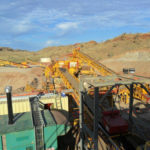 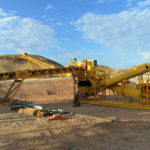 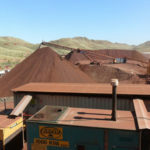 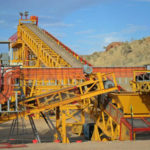 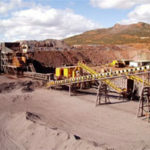 Rapid designs and fabricates all of the modules and conveyors that complement these crushers and screens. 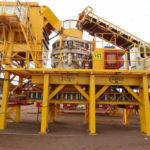 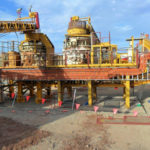 These modules, in a 2 or 3 stage configuration, will crush to 1,000 tonnes per hour or more. 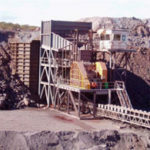 All fixed crushers and screens are electric powered by generator sets and switchboards. 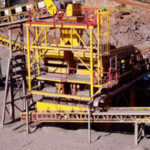 They require cranes to set in place on concrete foundations which makes setting up more complex and longer. 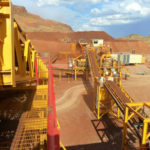 They also require extensive wiring up and link up through the use of conveyor systems and stacking units. 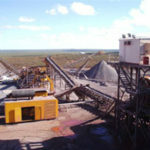 Being electric powered makes the fixed circuits more reliable and easy to access for housekeeping and maintenance. 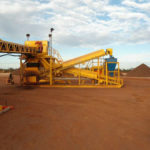 Fixed Plants are of more heavy duty construction and purpose built for the specific application.